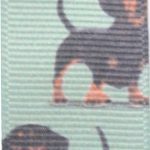 Looking to train your Dachshund? 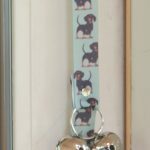 Train your dog or new puppy quickly and easily with our Dachshund Poochie Bells! With guaranteed craftsmanship these training door bells will help your pooch be trained in no time! Simply train your dog to ring the bells at each potty time so they know to alert you that it’s time for them to go outside.